There are two nice things about afternoon showcases. You get to see acts in less claustrophobic confines, and you can see them without really worrying about running off to your next showcase. Two excellent reasons, if you ask me! 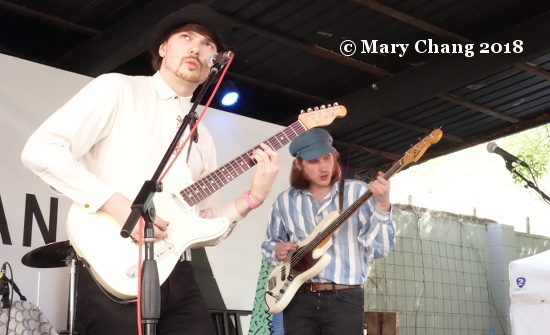 Following my time at the JW Marriott for The Original Celebrity Chefs and Restaurants session, I returned to German Haus at Barracuda for two German acts I was excited to see and hear live. 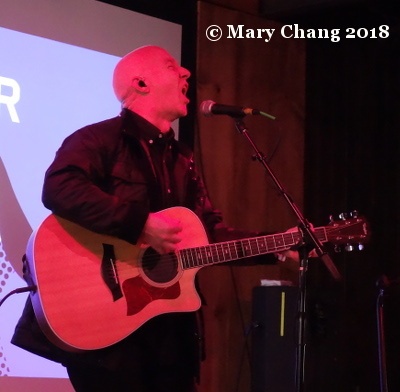 When I arrived, a bald Brit with a guitar was on the Barracuda indoor stage, playing to a small, but entirely appreciative crowd. I was confused. Hrm. He definitely didn’t have a German accent. What was he doing there? I’m embarrassed to say that I didn’t recognise Midge Ure of Ultravox and Visage fame. Don’t hit me. I feel embarrassed enough! 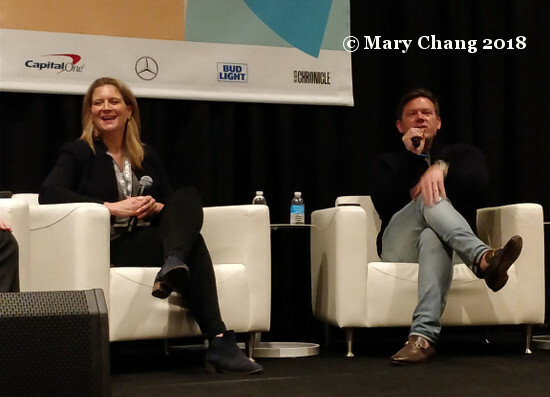 You have understand that during SXSW, most of us aren’t checking our emails, and I certainly did not see the German Haus missive that he would be part of the screening of Conny Plank – The Potential of Noise and its related panel that afternoon on which Ure would appear. I can see this was one of those times that it probably would have helped to have the event to all, or at least wristband holders in addition to badgeholders. But maybe Ure appreciated playing to a small crowd for once? 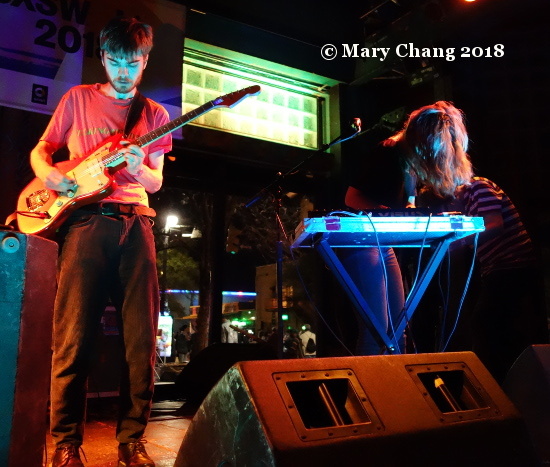 I ran out of time to write up my best bets of groups from the Continent showcasing at SXSW, but I have an Excel spreadsheet with many tabs to prove I did all the research if you want to see it. Blackberries were on my list because they’re exactly what you don’t expect from Germany. I think these days, German artists from outside Berlin are overshadowed by the electronic scene in the capital. Blackberries hail from Solingen, in the North Rhine-Westphalia region of Germany, and have their unique perspective on what krautrock means in 2018. How often do you see psych rock being performed with maracas? I had an idea in my head even before I got to Austin that British artists would be less important to my experience at SXSW than in past years, and that prediction turned out to be right. 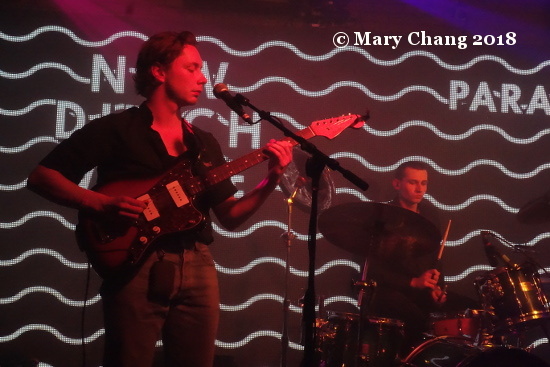 Munich experimental electronic duo Joasihno were set up back inside Barracuda. Synth heads, this was a wet your pants moment. If Cico Beck and Nico Sierig’s extended tabletop setup was filled with the usual keyboards, synths and sequencers, I might not have been as impressed. I might have even yawned. 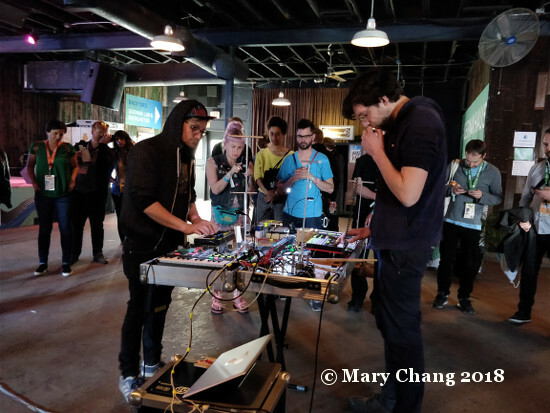 Instead, their unusual collection of equipment, which included a mechanically activated xylophone, rods that spun around and what looked like rocks connected to wires (??? ), plus loads of other things that looked like something out of a mad scientist’s laboratory. This kind of music couldn’t be further from Taylor Swift and other pop stars who top the charts. And you know what? That’s okay. Some of us want to be entertained with new sounds and in new ways. Ryan Walsh said in his talk Wednesday afternoon that 1/3 of the world’s population makes music sometime in their lives. There’s plenty of artists out there now and will be in the future to satisfy all of our music listening needs. And that’s good news for everyone. I returned to the convention center for one of the last conference sessions of the day, Music and the Brain: How Sounds Become Pleasurable. The first two talks were given by Dr. Alain Dagher, a neurologist and professor at McGill University, and Pablo Samuel Castro from Google. Dr. Dagher began with an explanation on how dopamine release mediating the desire for pleasure, whether it be in anticipation of listening to music or eating food we like. I guess this was a good starting point, as I would guess most attendees didn’t know how dopamine and reward-seeking behavior worked. (I took pharmacology in university and the classic example of dopamine activity is the abuse of cocaine and the feedback mechanism in the human body, so this was simply a refresher for me.) I guess, too, that it isn’t surprising that the reason why as children or young adults we remember music from those periods of our formative years. However, it appears that the reason for these memories is not because our brains were still developing at the time, but because the pleasure we associate with listening to those pieces of music when we were younger essentially burns into our memories. One step further, moderator and third speaker Indre Viskontas of the San Francisco Conservatory of Music showed evidence later in the session that our brains can anticipate specific moments in song that are associated with stronger feelings, such as that feeling of a pleasurable chill down one’s back. Castro’s talk was about machine learning and artificial intelligence. He specifically had studied building requirements for a computer to learn how to write counterpoints, which J.S. Bach essentially cornered the market on. Read more about his mastery of counterpoint through here. I had a lot of trouble in my early piano-learning years trying to get through Bach, so I was amused to see someone had gone through the trouble to ape his music. Castro played a Bach original against what his computer had come up with and he insisted that the computer had done a pretty good job in approximating the intended counterpoint. My ears weren’t having it, though. As Gunter Loibl of REBEAT Digital said the day before at German Haus indicated, I have every confidence that human being-created and produced music will never be surpassed by AI-made music, at least not in my lifetime. Before the evening showcases, Carrie and I both checked in at the Townsend for the Focus Wales drink reception. The Townsend is a fancy-schmancy cocktail bar on Congress Avenue. 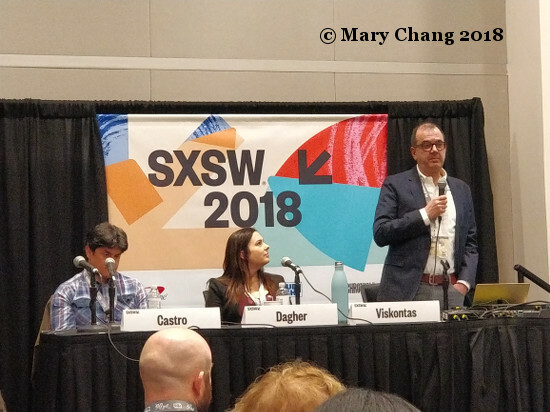 I wondered if the reception would be well attended, as it was a bit off the beaten path when it came to the usual 6th Street-type haunts during SXSW. I don’t know why I was worried. We ran into plenty of friends there, friends who were no doubt tempted by the lure of free drinks and good company. 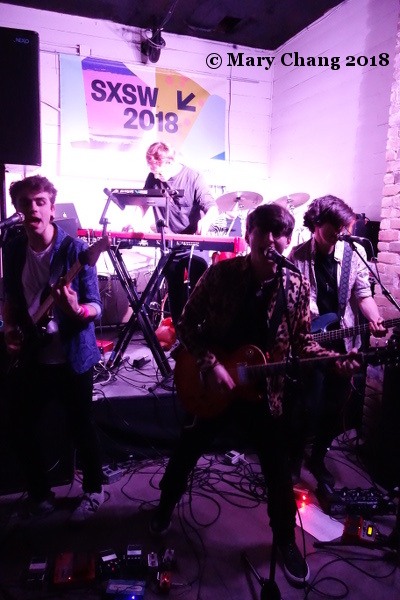 Along with the actual musical performances themselves in Austin, having a drink with your friends is up there with the top experiences you’ll have during SXSW. Carrie left for the Austin Convention Center early to catch Lyor Cohen’s keynote, so stay tuned for her report from that session. Shortly after that wrapped up, I was headed to the Beyond Music: The Secret Economy of Music session led by Ryan Walsh, current partner at Floodgate Fund, a venture capital firm. 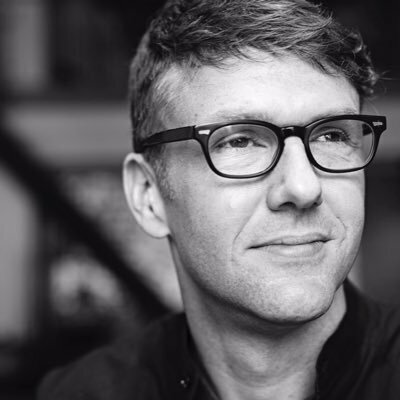 Walsh has a particularly interesting background, in that he was formerly VP of Product at Beats Music and also worked in product management for media at Apple. I think a lot of us have the impression that people who work in higher-up positions at companies like Apple aren’t as savvy about what’s going on in their business as they should be, or at least they don’t want to talk to people like us. I decided before the sessions that I would bolt if I was bored or felt talked down to. Spoiler: I was overwhelmingly pleasantly surprised. I found Walsh an incredibly compelling speaker, with a down to earth manner as he spoke on the gaps he saw open in the music industry. This is a man whose passion about our industry is evident from everything he knows and all he is willing to communicate. Loads of people say they want to help artists get paid properly, but very few have communicated this in such a way that I felt they were genuine. It is hard to find people in this business who don’t ultimately turn out to be self-servers. I don’t know Walsh personally, but he doesn’t seem to fit the mold of a venture capitalist as I have imagined them, existing for the sole purpose to chasing after the next big thing that will make them loads of money and that’s it. As he talked about the exponentially growing Soundcloud user base and where the holes were in the major label ecosystem, it was like listening to any number of hyper-engaging professors whose biology lectures I sat in on in university, wide-eyed with wonderment. It was the most positive, data-supported, forward-thinking industry talk that I’ve been to IN YEARS. (The music journalism talk I’d attend the next day, which you’ll read about soon here in on TGTF, made me want to punch my fist through a wall after it.) Instead of being yet another talk of doom and gloom, of how our industry is dying and will never recover to its former heights, Walsh painted an optimistic picture of its future. A future that sees artists collaborating, getting along with each other and sharing the spoils of success. A future that sees artists getting smart about how they work on record deals, like SZA and Top Dawg did on ‘Ctrl’, or partnering up with Kobalt’s AWAL, who have reinvented how to interface with and better work with artists so the artists get a bigger piece of the pie. A future that sees people who want to think out of the box not only survive but thrive. As his talk progressed, I realised that despite how many years I have written about music and thought I was reasonable savvy about how things are done, I actually knew little about the mechanical (if you will) goings-on behind the creation and distribution of music. I clearly have a lot more to learn about all this stuff works. Like all industries, really, success in the music business will become even more being intelligent and agile enough to roll with the punches. Ryan, if I can think up something new and great to contribute to this business, I’ll run it by you! On an entirely different subject and even outside of Music Wednesday afternoon was The Original Celebrity Chefs and Restaurants, starring moderator, journalist from the Daily Beast and cocktail enthusiast Noah Rothbaum, celebrity chefs and Food Network stars Tyler Florence and Amanda Freitag, and Ti Martin, co-owner of the famed New Orleans restaurant Commander’s Palace and several other eateries in Houston including Brennan’s. As a major foodie, I was very interested to hear each of them speak at the JW Marriott about their own experiences and what they have drawn from the greats in their profession who came before them and how they have made them who they are today. You can read more about Florence, Freitag and Martin on the internet, so I’m only including here the bits that impressed me the most. Florence’s advice for the audience was “fake it until you make it”, citing his experiences as a young chef in New York, grabbing opportunities as soon as he could and then learning as he went along. It’s clearly paid off, with an empire of stores and restaurants in the San Francisco area and countless tv show concepts at the Food Network under his belt. An audience member asked the panel about the #metoo movement and how it has affected the culinary industry. Without naming or shaming, it was obvious who the audience member was talking about: Italian-American chef Mario Batali, whose career appears to be irreparably damaged by multiple allegations of sexual harassment. Florence volunteered that his staff at the Wayfare Tavern in San Francisco are not allowed to drink while they’re working, circumventing any alcohol-fuelled issues between employees and between employees and customers. Perhaps this seems like a little step, but given the restaurant world being male-dominated, why not take out of a variable that could cause some staff members to be inappropriate? Martin told stories about how her mother started recruiting little-known chefs for their restaurant, including one Emeril Lagasse. Her mother invited the American culinary world to Commander’s Palace and gave them the kind of hospitality that has since made their restaurant a globally known, world-class destination. Remember that trying to invite a large number of people before the internet was a major undertaking. The whole session was a reminder, too, that before the Food Network and the fame of Lagasse, ‘the celebrity chef’ didn’t exist. Restaurants weren’t the destinations they are today. The hard work of people like Florence, Freitag and Martin and their moving the culinary world forward will make it easy when they are ready to pass the baton to the younger generations. The youngsters are excited to learn and work and innovate in this industry these greats helped to build.